Arnold Iron Cuts is a fat burning supplement manufactured by the American company MusclePharm. The company has an outstanding reputation for producing quality products and Arnold Iron Cuts is particularly noteworthy product because it is part of their “Arnold Series” range—produced in collaboration with Arnold Schwarzenegger. Arnold Iron Cuts is produced in capsule form and a variety of pack sizes are available (30 servings, 40, servings, and a 7-day trail pack). The formulation contains three proprietary blends, each of which has been formulated to work in a specific way. 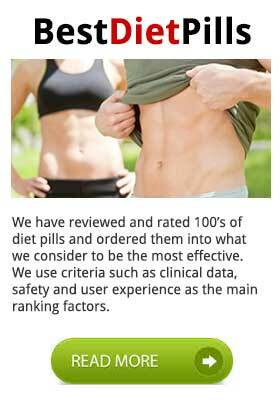 The Thermogenic & Fat Metabolizer Matrix contains the main fat burning ingredients. The Muscle Building Maximizer blend is designed to work as a “sculpting agent” and provide hard, well-defined muscles. The Estrogen & Cortisol Metabolizer blend has the important task of preventing elevated estrogen and cortisol hormones from preventing the other two blends from fulfilling their purpose. Chromium and vitamin D are both considered to be fat burners. Vitamin D has shown some promise in recent studies, but chromium success as a fat burner is limited to tests conducted on rodents during the 1950s. More recent tests have shown it to be ineffective. As for the three main blends, they look quite promising on paper, but the lack of information about the inclusion rates of individual blend constituents makes it impossible to predict how well the overall formulation will work. The main fat burning potential probably comes courtesy of evodiamine, L-Carnitine (an amino acid), green tea and inositol. All of them have merit, and caffeine also possesses a limited fat burning potential. The potential of the other ingredients is harder to define, but panax ginseng offers many health benefits and could also be useful for reducing fatigue. Sufficient testosterone levels are of key importance to muscle growth, and Boron, fenugreek, maca, and pumpkin seed extract are all believed to be testosterone boosting ingredients. Eriobotrya Japonica is believed to reduce the breakdown of muscle protein so its inclusion here offers obvious benefits. Grape seed extract is believed to be an aromatase inhibitor with the power to decrease estrogen levels. DIM is believed to possess similar capabilities. It is feasible that the other ingredients will be of benefit in an indirect way. Many of them can lower blood sugar levels, which, as a repercussion, should then reduce cortisol levels. 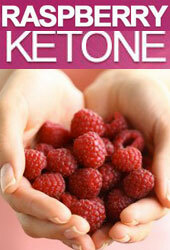 For normal dietary supplementation: Three capsules should be taken with the first meal of the day. To support an intense training program: Three capsules should be taken with the first meal of the day, followed by a further three capsules at lunchtime. 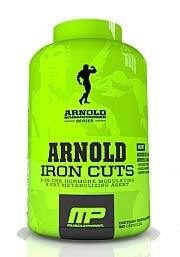 Arnold Iron Cuts has been formulated for healthy adult males (21 years+) who are interested in bodybuilding. Anyone with any health issues or concerns should seek medical advice before commencing supplementation. It is not advisable to take the capsules within 6 hours of bedtime. Arnold Iron Cuts is available from selected retail outlets and can also be purchased from a variety of online stores including Vitamin World, Amazon, and BodyBuilding.com. We recommend Instant Knockout over Arnold Iron Cuts. We feel you get much bang for your buck. 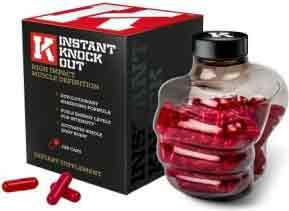 Instant Knockout has been originally developed for professional and amateur MMA fighters and boxers. It includes some pretty cutting edge ingredients.